If you’re in a hurry during the lunch hour, here’s an offer that will save you time. Plus, you’ll get a good amount of protein in the process. Shop at Safeway grocery stores through TODAY, April 2nd. 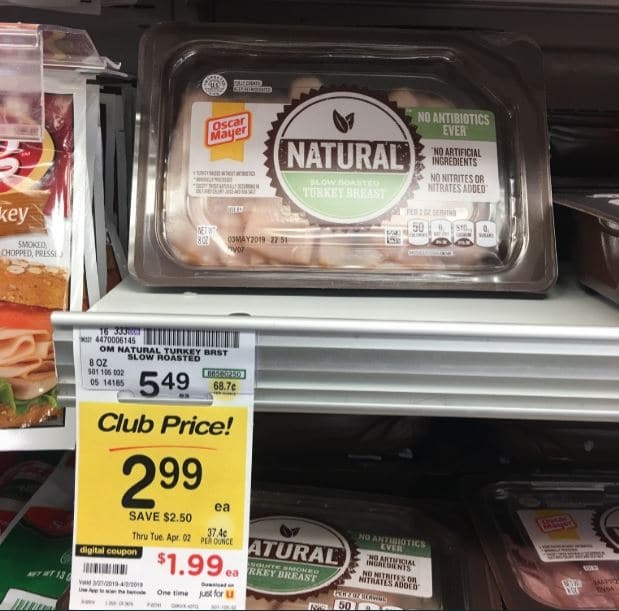 Pick up a package of Oscar Mayer Natural Lunchmeat. Before you shop, download the Just for U digital coupon and then use your Safeway card at the register. This drops your price to $1.99 – already great savings. However, the offer gets even sweeter. Use the $1/1 Oscar Mayer Natural coupon from the February 24th SmartSource insert. You’ll end up walking out of the store pay $0.99 for pre-packaged meat. That’s a savings of 82%! 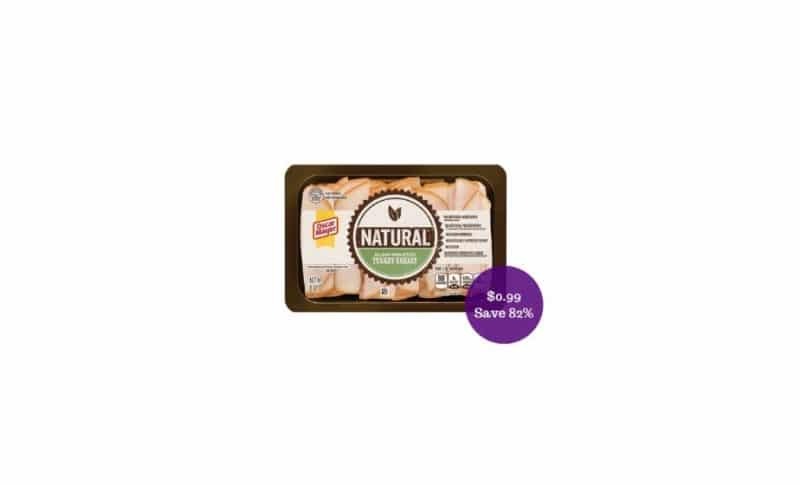 Final price = $0.99, save 82% on meat!